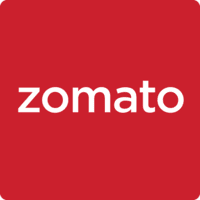 Zomato – Get 50% Instant Discount + 50% Cashback via Paytm wallet. Zomato is the best restaurant finder app to search for and discover restaurants to eat out at or order in from. Browse through restaurant menus, photos, user reviews and ratings to decide where you want to eat, and use the map feature to guide you there. 1. In this deal, you will get up to 50% cashback when you pay using Paytm. 4. Offer valid on first transaction only. 6. Cashback will be canceled in case of full refund or cancellation of the order. 10. According to RBI new guidelines, a user who has not undergone Paytm KYC will not receive cashback in their wallet. 11. As per RBI mandate, please provide any of your government document details to continue using Paytm Wallet. Click http://m.p-y.tm/minkyc. Please ignore if already done.